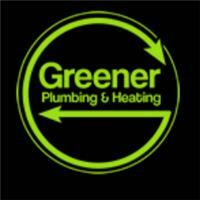 Greener Plumbing LTD - Central Heating Engineer, Plumber based in Ghyll Industrial Estate, East Sussex. Greener Plumbing & Heating has grown year upon year to the point where we now have 10 Engineers in the field and 4 office staff at our HQ in Heathfield, East Sussex. We mainly work with boiler installations and boiler servicing and now offer boiler finance to our clients all through Sussex. We also cover works such as Plumbing, Heating, Bathrooms, Kitchens, renewable energies and more. We are also LPG Engineers. We pride ourselves on carrying out a first class service and will always go the extra mile to make our customers happy.